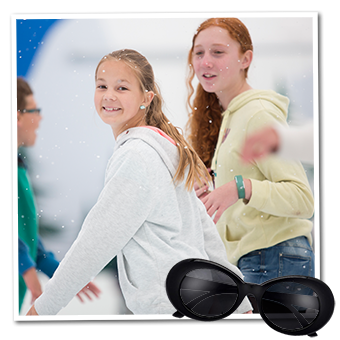 Ice Skating Summer School - The Coolest School Holiday Activity in Perth! Want to keep your skates on the ice over the January school holidays? Check out our Summer school holiday programs that take place throughout January! We run Summer programs every year during the summer school holidays – think of them as condensed, 4 week versions of our regular programs. Our Summer School programs are a great option for a family school holiday activity in Perth during the long break, and will keep skaters on the ice and continuing to improve their skills during the summer holidays. Beginners are welcome, and we run both adult adult and kids classes! Summer School is for skaters aged 5+. Children aged 3-4 (some exclusions may apply) will be placed into Tiny Tots, where they must be accompanied by one adult during their lesson.. The following timeslots are available for Summer School, and skaters are welcome to choose 1, 2 or even 3 days per week! Your 25 minute weekly lesson will take place within that timeslot on your chosen day. for 4 weeks of lessons! Summer School is for skaters aged 5+. Children aged 3-4 (some exclusions may apply) will be placed into Tiny Tots, where they must be accompanied by one adult during their lesson. These elements are taught in the STROKING and FOOTWORK levels of Learn to Skate. Synchro Development Summer School lessons are 60 minutes, and will take place during the following times. Already doing Learn to Skate Summer School? Then pay only $75 for Synchro Development! Click enrol now for more options.